Do you have a home office? If so, have you ever considered taking the home office tax deduction? 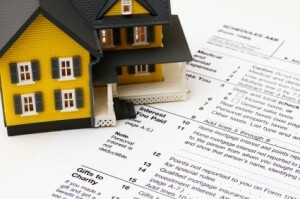 One common concern with taking this deduction is that it might trigger an income tax audit. But is that really the case? Well… The general consensus seems to be that concerns over audits related to the home office tax deduction are a bit overblown. Moreover, even if you’re audited, you have nothing to worry about as long as you have a legitimate claim to the home office tax deduction. This is, of course, a relatively complex topic, and it is covered in detail in IRS Publication 587, “Business Use of Your Home.” What follows if a thumbnail sketch of the requirements to get you started. then you may be able to take the home office tax deduction. For certain other uses, including rental, storage, or use as a daycare facility, you have to use your property regularly, but not exclusively, in a business capacity. Probably the biggest limitation for most people is the “exclusive” use requirement. In general terms, this claim is easiest to support if you use a separate room for your business activities, though you can get away with a portion of a room if you can show that no personal activities take place in the business section. But even if you have work full time in a home office space, if your kids use it to do their homework in the evenings, or your spouse uses it for working on a hobby over the weekend, then it doesn’t meet the exclusive use requirement. As for regular use, this is a bit of a grey area. If you work in the office a few hours per day, you’re probably okay. But if you’re trying to deduct a space that you rarely use, and is just incidental to your business, then you should probably steer clear of the deduction. If you are an employee that happens to spend time working at home, you have to meet the same standards as a business owner. In addition, your use of the home office space must be for your employer’s convenience, not your own. If, for example, your employer doesn’t provide you with office space, and you have to use a portion of your home to do your job, then you’re probably in the clear. But if you simply prefer to telecommute a few days a week, then you can’t take the home office deduction. So how do you go about claiming the home office deduction? For starters, you can claim any “direct” expenses in full. This would include things like maintenance or repairs that are limited to the business portion of your home. As for indirect expenses, such as those associated with maintaining and running your entire home, you can deduct those based on the percentage of your home that is dedicated for business use. For example, if you live in a 2000 square foot home, and you have a 200 square foot home office, then you’re using 10% of the total space as a home office. Your indirect expenses include utility bills, homeowner’s insurance premiums, HOA fees, security monitoring, etc. Mortgage interest and property taxes are also deductible, but in that case you’re moving the deduction from your personal balance sheet to the business side. If you rent your home, you can deduct a percentage of your rent for the portion of your home dedicated to you business. If you own your home, you can also claim depreciation, which is basically an allowance for wear and tear. This is a relatively complicated topic, and not easy to cover in a single article like this. As such, I’ll simply direct your attention to Publication 587, which has an entire section dedicated to depreciation. As noted above, full details surrounding the home office tax deduction can be found in IRS Publication 587, and you use Form 8829 to figure your deduction, which then gets reported on your Schedule C.
Do you claim the home office deduction? Even though we run our business ventures entirely out of our home, we’ve never taken the home office deduction. The reason for this is that we don’t have a dedicated space for our activities, so we can’t justify the deduction. What about you? 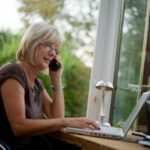 Do you claim the home office deduction? If so, do you have any tips or tricks to share? If not, why not? it very bothersome to inform the truth on the other hand I’ll certainly come back again. We renovated the attic to create a seperate office for my ignite business, it’s a side business apart form my 7-6 job. We only use it for the ignite business and do have a sleeper sofa in the office. This in case we would have more guests that the guest rooms. Can I deduct the full cost of the renovation in the year I made the expenses? The revenue of the business is still low. Is the sleeper sofa a problem? Courtney, you may be able to deduct rent as part of a home office. Read the IRS pub on it. As long as home office area meets criteria (exclusively used for business, etc) then the appropriate portion of rent (ratio of SF of home office to SF of whole residence) may be deductible. This is a timely post! We are moving this month to a new place and will have a home office where we will both be telecommuting on Fridays. I had briefly wondered if we could deduct a pro-rated portion of our rent. Disappointed that the answer is ‘no’ but it’s nice to get that cleared up. OIH-creates a separate business asset as part of your personal asset. Ensure you understand the tax consequences of selling your home before you crete an OIH. Only that part of your personal residence which is used as an OIH is considered as a business asset. Also, ensure you understand the “depreciation recapture” concept before creating an OIH. If possible, use a separate structure for business use. The main advantage of an OIH is the deduction for business related travel. Mickey, why wouldn’t you take the home office deduction for the side business? That business would have nothing to do with your regular job, and as long as it’s a business that shows a profit usually, it would be a business expense. (Schedule C). I read somewhere that if you claim depreciation on your home office, then you have changed the personal residence status. When it comes time to sell your property it may not qualify for the “personal residence” capital gains deferral. My CPA informed me that you can only take the home office deduction if you do not have an office anywhere else….including your regular 9-5 job. In my case, I have a side business with an office at home, and I do not qualify for this deduction. My wife claims the home office deduction. She actually works from home full time at her day job, and then also runs a photography business on the side. So she actually has “two” uses for her home office. Honestly, I let our accountant handle that one because it got my mind all jumbled.